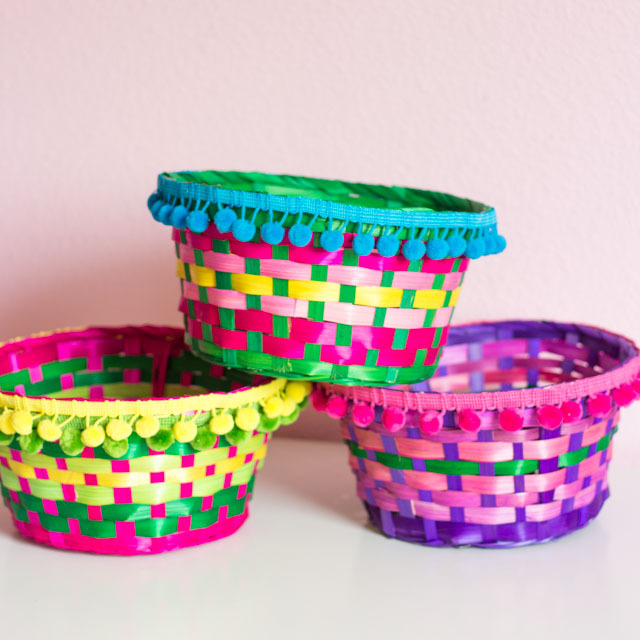 Easter baskets turned pretty storage bins! 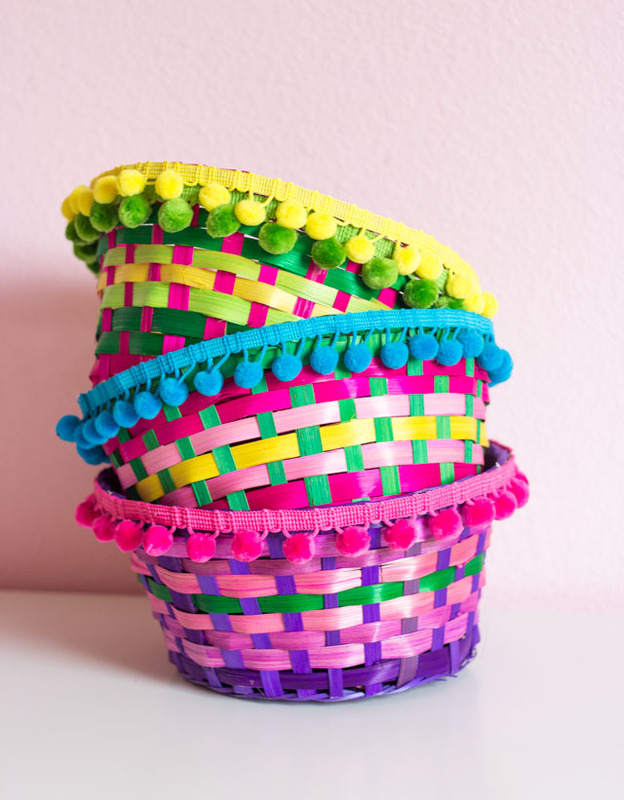 For whatever reason I have always been drawn to these classic Easter baskets. You know, the woven bamboo ones that you can buy for a dollar a piece at the grocery store?! 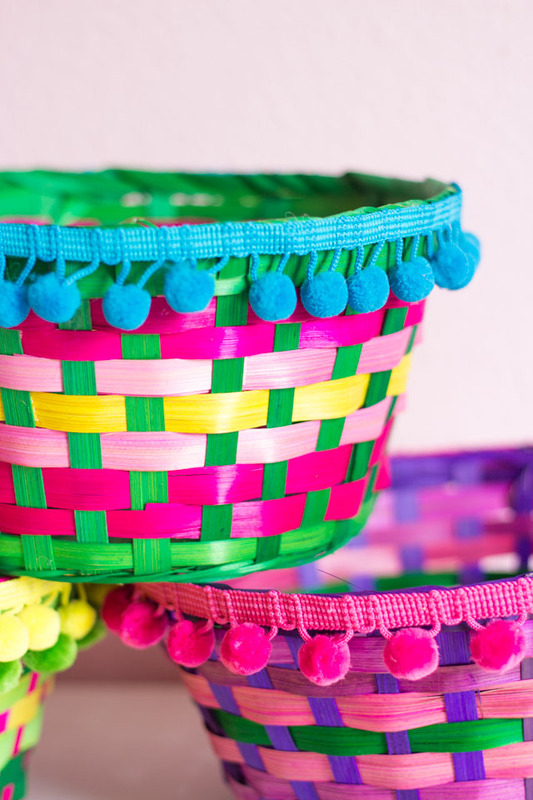 I’ve always been drawn to their bright colors and feel the urge to buy one whenever I see them, but I don’t really have a need for a bunch of Easter baskets! I do however, always need craft storage, so I thought I would give these guys a new life as boho-inspired storage bins. 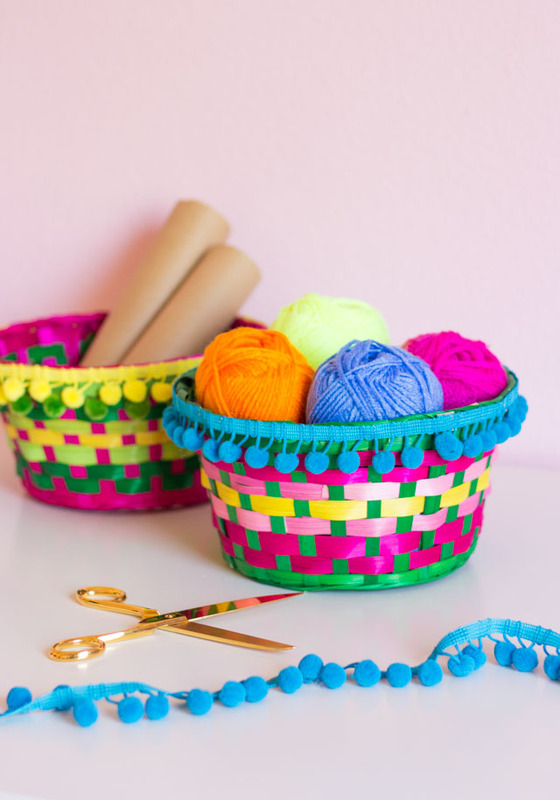 Without their handles and with the addition of some pom-pom trim, they look right at home in my craft room. What do you think? 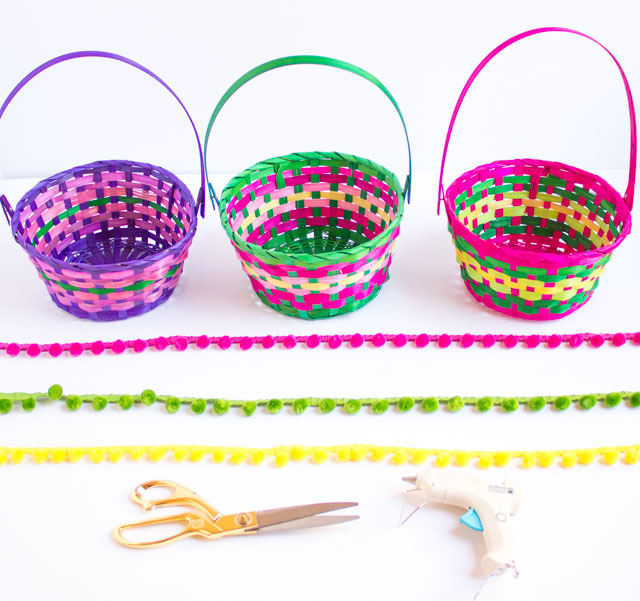 Read on for the details of this simple 5 minute, under $5 craft! 1. 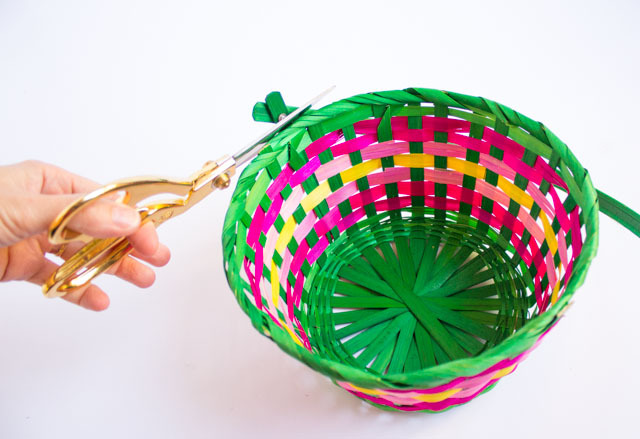 Use a strong pair of scissors to clip the handle off at the top of the basket. 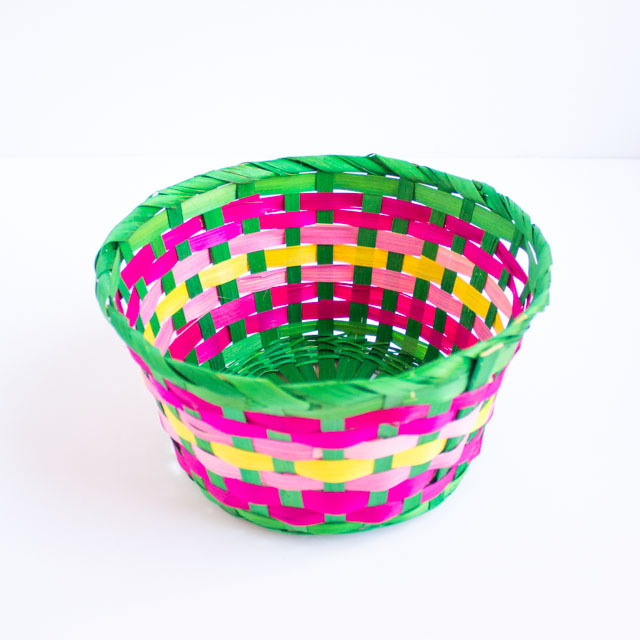 The basket will look like this without the handle. 2. 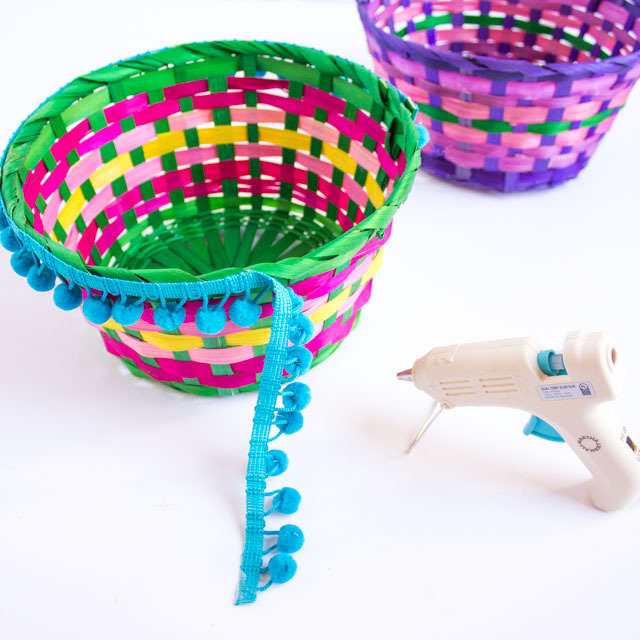 Add 1-2 rows of pom-pom trim around the top of the basket with a bead of hot glue. That’s it! Such an easy project with such colorful fun results! I love the added dose of color they give to my desk along with my new craft supply art! 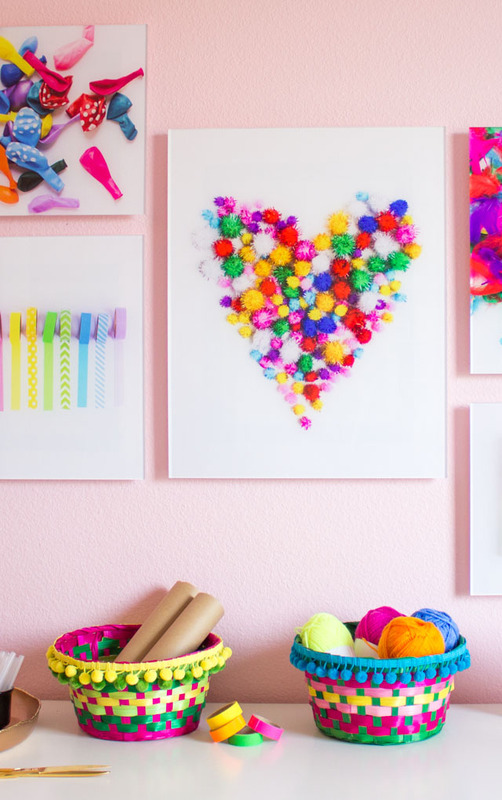 Have you seen my recent craft room makeover? Check it out here!